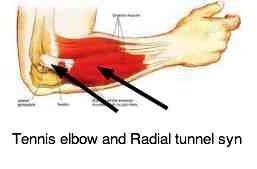 Slipped disc arm pain in the neck leads to carpal tunnel syndrome too. 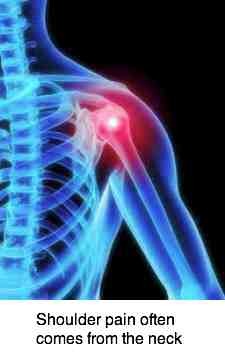 Slipped disc arm pain in the neck leads to carpal tunnel syndrome and others like tennis elbow too. Discomfort radiating from the neck into the limb is common at the chiropractic clinic; but the true prolapse in the spine producing a severe ache and tingling in the upper extremity is fortunately relatively rare. It's an extremely nasty condition, and a deep ache spreading from the trapezius down the limb is one of the noteworthy features; it's often worse at night. If it affects the fifth cervical nerve root, then the symptoms radiate to the mid back between the shoulder blades; to the rhomboid and levator scapular muscles. There are other conditions that can mimic the injury; there are orthopaedic tests that help us distinguish between them. 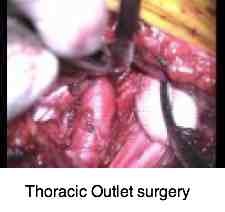 The aim is to reproduce the ache in the limb, so they need to be done gently; they can aggravate the disease process. Folk are often afraid of that word; it simply means a lack of ease and could relate just as easily to an ingrowing toenail as cancer of the spine. 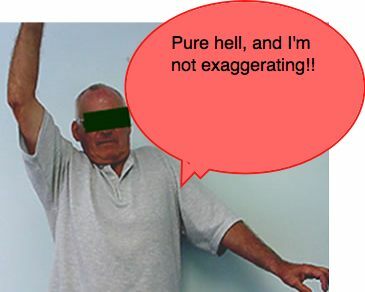 Some tests are complex but others, like Spurlings and the Upper Limb Tension stretch, you can do for yourself. 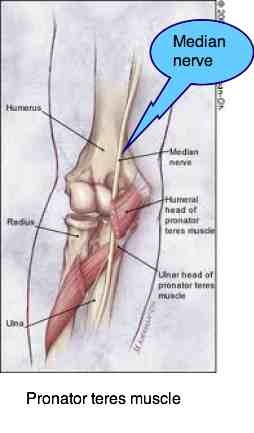 More usually turning towards the side of the ache increases the symptoms; but if the nerve is tethered by a degenerate joint of Luschka then turning in the opposite direction increases the stretch on the root. It's often provoked by working above your head as in painting the ceiling or replacing a light fitting for example. The Intervertebral Disc (= between the vertebrae) is made of two parts. NUCLEUS PULPOSIS ... a gel-like material that keeps the vertebrae apart, whilst giving them mobility. The gel is essentially a liquid, and liquids are incompressible. When the neck is moved the bubble of gel bulges into the surrounding ring-like annulus which distorts to accommodate the nucleus. That's all quite normal anatomy. The annulus fibrosis consists of about six layers, criss-crossed to make a very tough ring to support the nucleus pulposis. 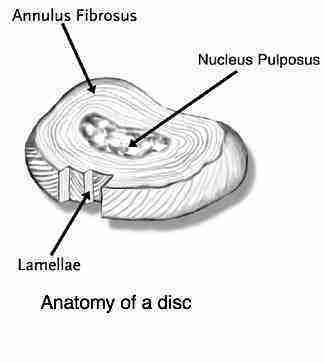 However, in the slipped disc in neck the gel ruptures through one or more layers of the annulus fibrosis. 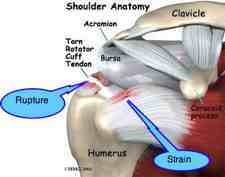 Initially there is just pain in the neck, but the disc will swell and then may cause arm pain. If the slipped disc has a large bulge then you will often get relief by placing your hand on, or above, your head; or sleeping with it under your pillow. Raising the limb takes the stretch off the nerve, reducing the ache. Conversely, carrying anything heavy increases the pull. 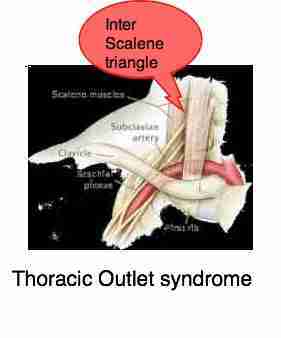 If raising the arm increases the pain and tingling in the hand then we are probably talking about a thoracic outlet syndrome, rather than a slipped disc in the neck. Another sign of a slipped disc is that rotating your head to the side of the aching arm, and then looking up increases the symptoms; it immediately produces pain and tingling, not just in the neck, but in the shoulder and down towards the hand too. When this happens you must take it seriously. It's a very painful condition and, if you neglect it, the chances of spinal surgery are relatively high. The arm becomes numb, and may develop weakness. 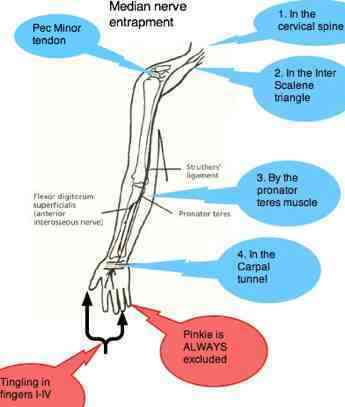 The triceps is the most commonly affected muscle. Press ups will be difficult; the limb becomes lame. Periodically a patient walks into the clinic with his hand on the head; the diagnosis is already made. There are various procedures, placing axial compression on the head and neck in different positions, looking to provoke the pain in the arm. A variation is Spurling's test. Does turning to the side of pain, and then looking up produce lower neck stabs, and more significantly, an ache or tingling in the arm? 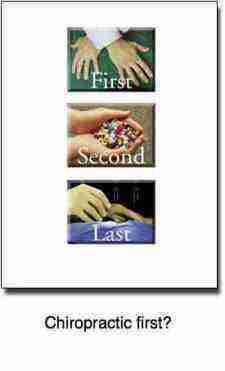 Your chiropractor will test the reflexes, look for sensory changes and search for weakness in the arm. This is a very painful condition and needs to be taken seriously, both by you, and by those treating you. Controversial, this may make me a few enemies, if your chiropractor doesn't do a proper examination, and just wants to click your neck then go elsewhere; or, for that matter, your medical doctor just wants to give you anti inflammatory drugs without examining you, then I recommend you decline treatment, and look for someone who is thorough. This is not a condition to be treated by those who are out of their depth, or want to take short cuts. 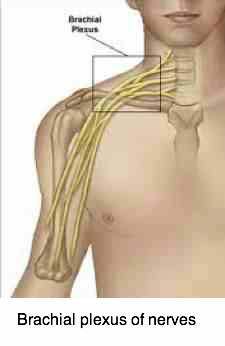 The most common muscle affected by slipped disc arm pain is the triceps which straightens the elbow. Try doing some pressups. Does the affected arm tire much more quickly? One of the first nasty signs of slipped disc in neck is various nerve-like symptoms that radiate down your arm. Not that this necessarily implies a slipped disc neck pain. 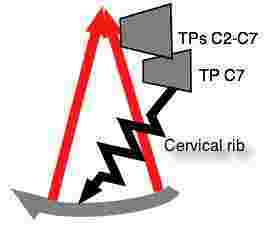 So too a large cervical rib can cause pain and tingling in arms and hands, mimicing a slipped disc arm pain condition. See in the graphic below how the cervical rib passes through the interscalene triangle, along with the brachial plexus and the Subclavian artery? A cervical rib is a complication of TOS. 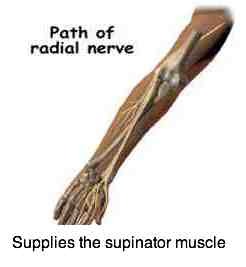 Through this triangular space pass the five nerve trunks to the arm, and the subclavian artery. 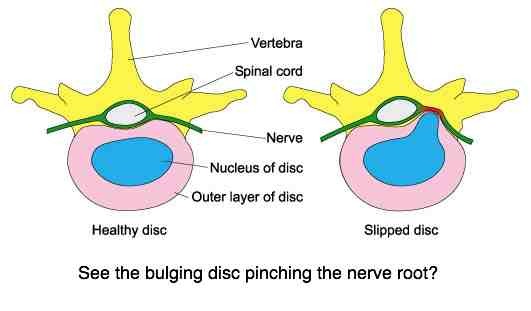 Your chiropractor will have to work out what works best for your slipped disc in neck. Usually a gentle cervical adjustment is in my book the treatment of choice, but it has to be done very skillfully and carefully. And sometimes manipulation just doesn't seem to help, and may even increase the pain. Then your chiropractor will have to try this and that. 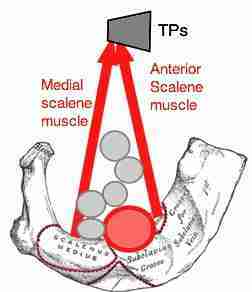 Axial traction often helps, working on the scalene muscles, ice, acupuncture, electrical modalities... this is a difficult condition and you may well have to be patient. It will take at least six weeks to heal. 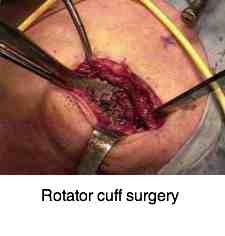 Return from SLIPPED DISC ARM PAIN to neck pain home page.